BlogHome » Blog » So, graduation! Translator? And then what? Livia’s story! Like many women, my private life has had a big impact on my work life. But, also, I have to admit that my path to become a translator hasn’t always been straightforward. I graduated in Language Studies in 2001. At the time I was living in London and had a full-time job as a Team Leader in a call centre. After my graduation I decided that I wanted to become a Public Service interpreter and therefore I enrolled for a preparatory course for the DPSI examination. To do this I had to stop working, since I wouldn’t have had the time to do everything. Unfortunately the course I wanted to attend (Health, English<> Italian) was cancelled, because there were not enough students, so I had to choose another subject. After giving it a lot of thought and asking around for the best advice, I decided to go for the legal option, but in a different language combination (English <> Spanish) since it seemed to be the field with the highest demand. I knew you should only translate/interpret into your mother tongue, but my Spanish at the time was excellent and I knew that there were jobs I just wouldn’t accept (for example, I would have never interpreted in Court). I think that most of all it was a way to prove to myself that I could do it, but my idea was still to work mostly with Italian. While following the course, I heard that there was a Community Health Interpreting course organised by a big hospital in London, so I decided to make things even more complicated for myself and attend it. But at least this time the course was in the right language combination, English<> Italian. This meant attending two courses a week, preparing the glossaries and doing my homework for both courses. It was tiring, but I am so glad I did that. It was also a great opportunity to meet people from all over the world and I still keep in touch with some of them. As I mentioned before, I had quit my job, so in order to earn some money I started doing some transcription work for a Marketing Research company. It was one of those jobs that I wouldn’t accept now, because it wasn’t very well-paid, but it was a start for me and I could earn some money while attending my courses. During the Community Health Interpreting course I had the chance to do some shadowing and see how a professional community interpreter works. I loved that and was adamant that was the job for me! As a matter of fact I have always liked medicine and find it a very interesting subject. Moreover I like the idea of helping someone in need. However, life is always full of surprises and things didn’t go as I had expected. I finished both courses and had already started doing some interpreting jobs for an agency and, then, the big day arrived. The day of the DPSI exam! As a matter of fact, I did pass the exam and with good marks (all merits and one pass). But there is one more reason why I’ll never forget the day of the exam: that day I found out I was expecting my first child! Although I was extremely happy with the news, the fact that I was going to have a baby changed everything, so my husband and I decided to move to the Netherlands (my husband is Dutch). That meant putting my interpreting dream on hold, because I didn’t speak a word of Dutch when I moved here. When Luc was born, I found a job as an in-house Italian translator and proofreader for one of the leading manufacturers of connectivity products. I loved my job and was very lucky to have great colleagues. It was more than just translating and proofreading, since we were also outsourcing translations to agencies for the languages we didn’t do in-house. Here I had the chance to become very proficient with CAT tools, Wordfast at first and then Trados. At a later stage I even learned how to work with Trados TeamWorks. It would have been my ideal job, if only I didn’t have to travel for approximately 5 hours a day! Luc was only 9 months old when I started which made it pretty tough. By the time I was at home, it was time for him to go to bed, so I couldn’t really spend time with him. At the beginning I was only working 3 days a week, but it was still very tiring. So, after 2 years of commuting, I decided to look for a job closer to home and started working as a Project Manager. I was not translating anymore, but I had the chance to see the outsourcing process from a different perspective and see what clients expect. In 2007, after my second child was born, I decided to take the big step and become a freelancer. I think that having worked both as an in-house translator and as a PM has been very important for my background. I would actually recommend this kind of experience to anyone who wants to become a freelance translator. However, being a freelance translator is not exactly easy and I remember a great conversation I had on Skype with Marcela Jenney-Reyes (@MarcelaJenney on Twitter) a few years ago. She was extremely kind and gave me some great tips on how to improve my marketing skills. So it is also thanks to her that I am still here and happy with what I do. I mostly translate marketing material from English, Dutch and Spanish into Italian, but now that I can speak Dutch and my children are older, I would like to start interpreting again. 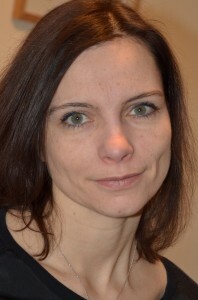 Livia is a freelance translator and proofreader. She translates from English, Dutch and Spanish into Italian and specialises mainly in marketing, consumer electronics, software and website localization. She is a member of the NGTV (The Netherlands Society of Interpreters and Translators). You can find her on Twitter (@ldtranslations), Facebook (ldtranslations) and on her website, www.ldtranslations.com. So, graduation! Translator? And, then what? Olga Arakelyan’s Story!